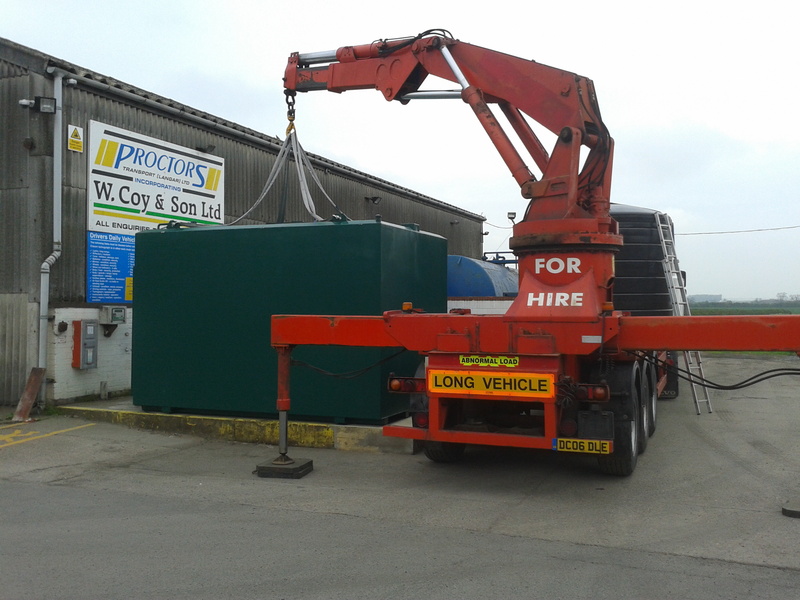 A 20000 litre steel fuel dispensing tank, measuring up at 4000mm (L) x 2500mm (W) x 2500mm (H), has recently been dispatched to a transport company in Nottinghamshire – Proctors Transport (Langar) Ltd. The tank was manufactured with a high security steel cabinet with roller shutter door, and with two lots of full dispensing equipment to allow more than one vehicle at a time to be filled. This included 2x submersible pumps, 2x delivery hoses, 2x automatic shut off nozzles with 2x filters and 2x flowmeters.